Finvola, GBR 19, is one of only a handful of Fife 6mR still sailing. 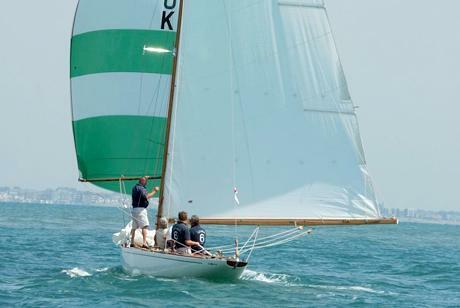 Built in 1925 she has been beautifully restored and regularly races on the Metre circuit both in the classic fleet and amongst the moderns. With her existing mast being made from Douglas Fir and especially heavy, Collars supplied a replacement in hollow Spruce to meet the class rules with a lower centre of gravity and lighter tip weight. With her narrow beam and large main it all helped to improve her performance.